The Mutsy Nexo is here! Nexo is the newest stroller in the Mutsy lineup. I was really looking forward to getting my hands on it and so excited that it joined our ranks. Assembly took about 5 minutes. 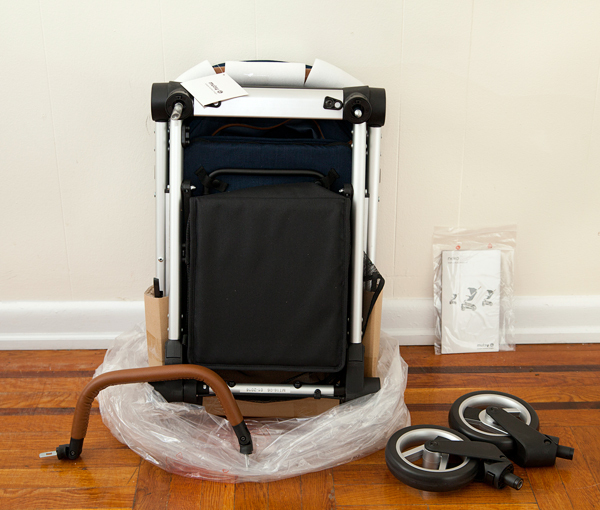 All I had to do was unfold the stroller and pop the wheels and bumper bar into place. 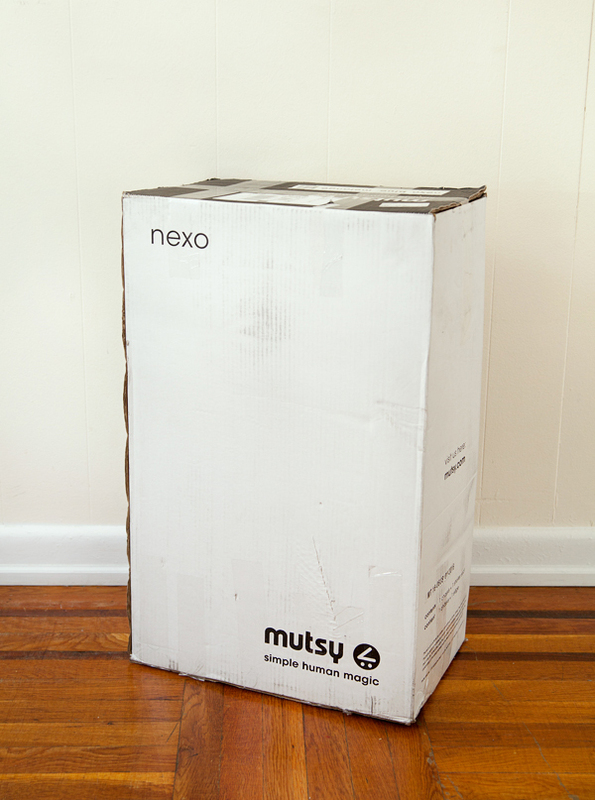 The Mutsy Nexo is very attractive, neat and compact. As you may well know, I have a soft spot in my heart for compact strollers. The Nexo has a slim frame, yet the seat is quite roomy. Ben, age 3.5 was the first test-passenger and as you can see, he fits into this stroller well. We'll be getting to know the Nexo in the upcoming weeks and I will be back with a full review. Please stay tuned! 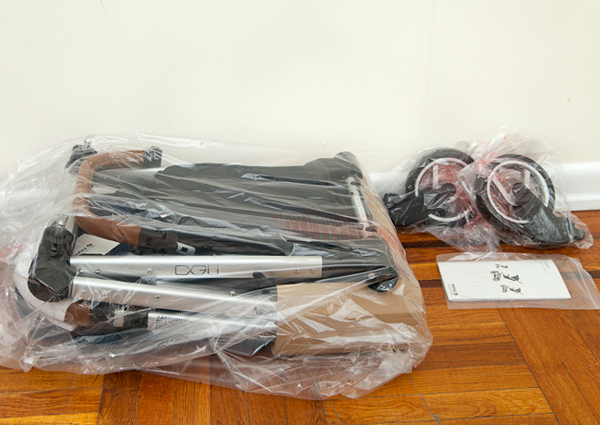 I'd like to thank Mutsy for sending us this beautiful stroller! Really considering getting this for a newborn - wondering how you found this stroller faired. Also, I've read a review that said the basket wasn't too strong, any thoughts? I'm still working on a full review and will post it shortly. To answer your question, the Nexo would not be my stroller of choice for a newborn, simply because the seat is not reversible. Also, there's no peek-a-boo window on the canopy, to check on your baby. The Nexo can be used with an infant car seat, but personally, I never liked keeping my babies in car seats outside of the car. 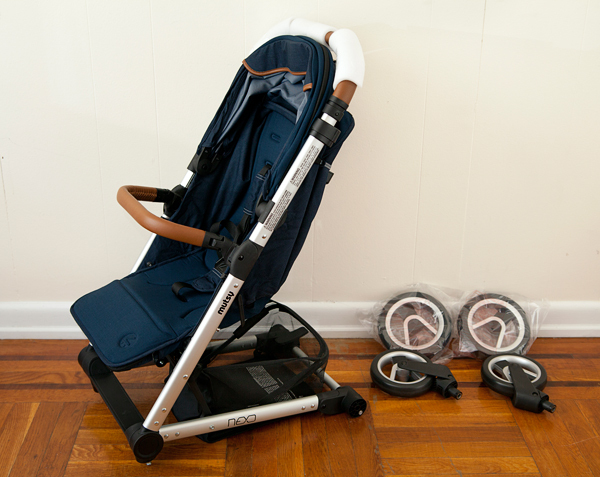 Mutsy does make other stroller models with a reversible seat and infant bassinet options. As for the basket, it is not as roomy or strong as on some other strollers, but it was sufficient for basic baby necessities. 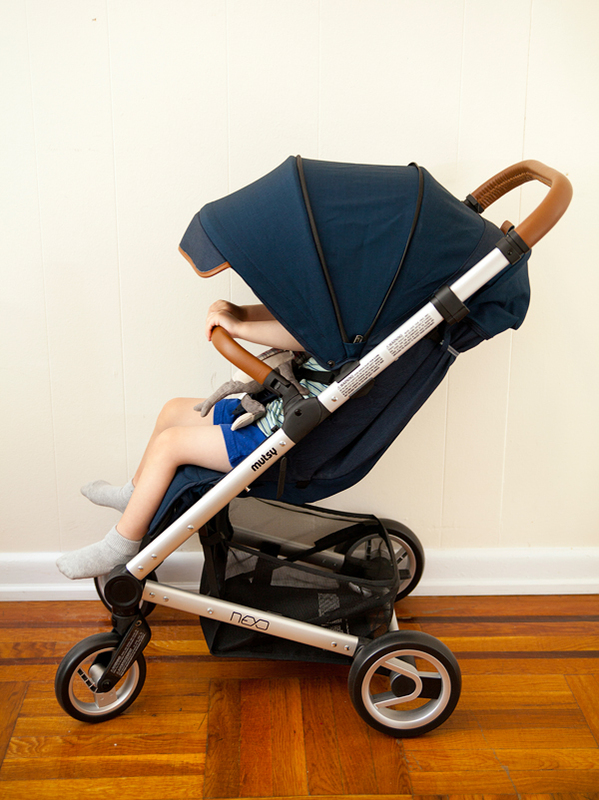 I've received Musy nexo stroller, there is so many spotting on inside of canopy. Your review picture seems no fabric issue. Do you see any spotting on your fabric? It should be inside of canopy. I know exactly what you mean about the spots! I have them on the inside of my canopy too. I guess that's just the nature of the fabric.